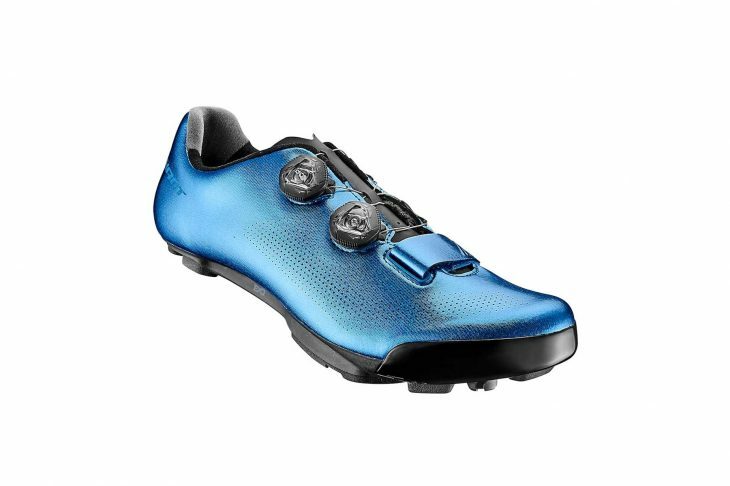 Today, Giant Bicycles is launching a new shoe line. Some of the shoes, like the racy Charge Pro are redesigns of popular models, but there’s a whole new flat pedal shoe, called the Giant Shuttle, that we think will be of interest to Singletrack readers. 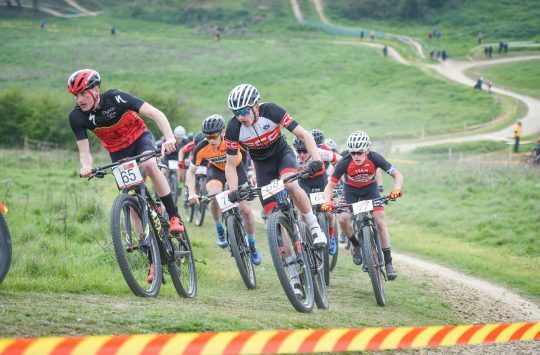 Giant sponsors a vast array of athletes, from World Cup Cross Country racers to downhillers, so has a ready-built test team to help with product development. 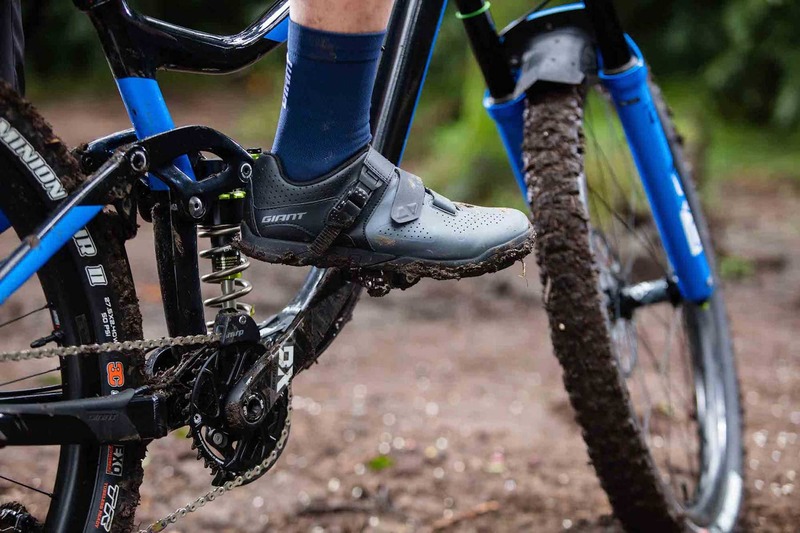 The Shuttle Flat has been designed with a lot of input from Adam Craig – a World Cup XC racer turned Enduro racer (and Singlespeed World Champion along the way) who has now retired from racing. 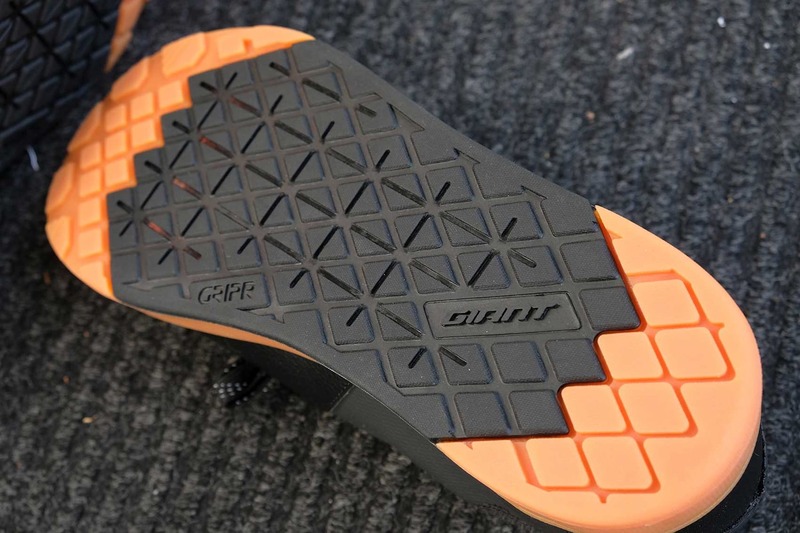 Having gone through eight or nine different prototypes, he and Giant are confident that the new shoes are going to be good for flat pedal riders. Black and gumwall is always a great combo, no? 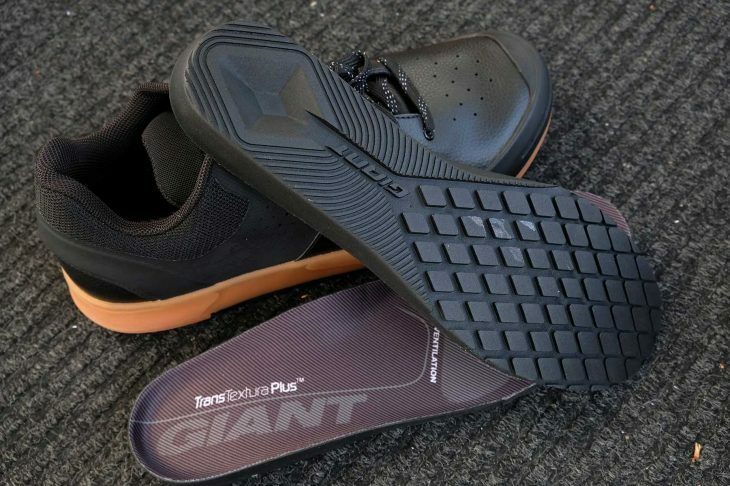 The Giant Shuttle Flat pedal shoes (or is it Giant Shuttle Flat, flat pedal shoes?) 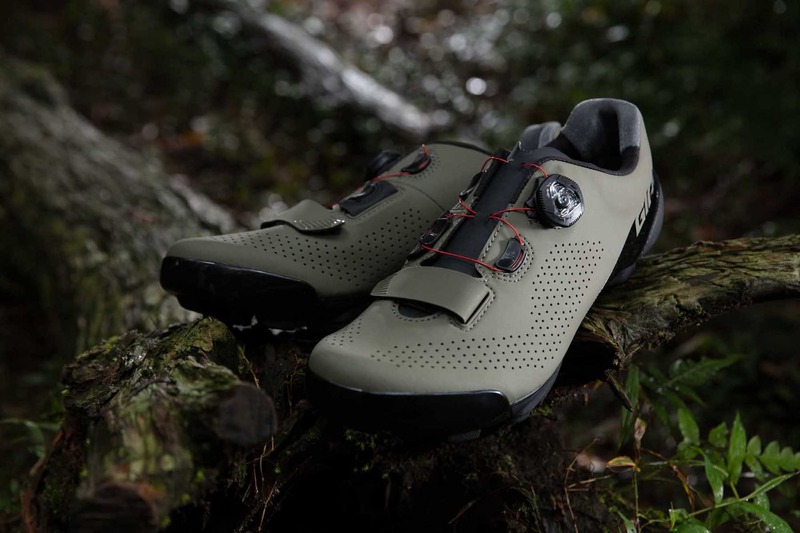 have a good-looking trail shoe aesthetic, but there are some differences that Giant reckons pulls them apart from the crowd. 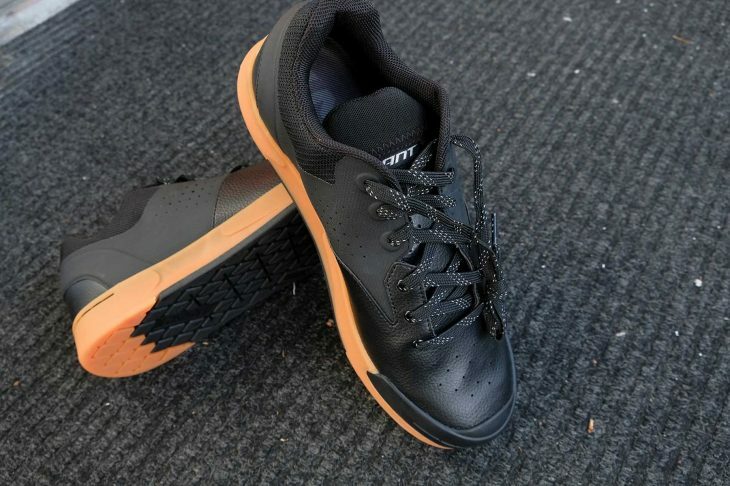 The whole mid-sole uses sticky rubber for good grip, with a diamond pattern of shallow blocks for pin grippage. There’s a solid rubber toe bumper for protection – something the runs through the whole shoe range, and the knot of the (reflective!) laces are kept in a neat little ‘lace garage’ at the top of the tongue, rather than needing a lace-tidy strap. Big, thick insoles rather than shoe padding. One big difference, though with the Shuttle Flat, is the insole. Usually shoes have some EVA foam cushioning built into the sole of the shoe, but with the Giant shoe, this is all in the insole. With it removed, the shoe is as empty and uncushioned as a pair of Vans. 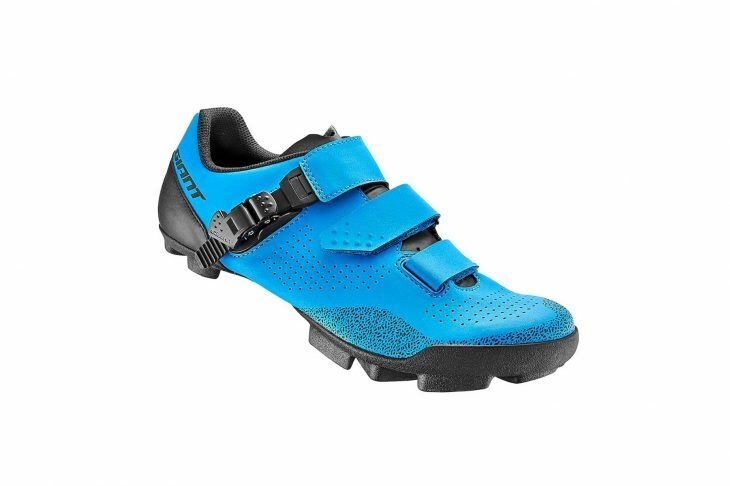 Having a thicker insole allows Giant to tune the feel a little, with a large diamond concave section for heel-strike cushioning and ventilation channels under the toes. It also means that they should be replaceable. Not all flat shoes are black, or gaudy. Much better looking when muddy. The sole of the Shuttle Flat is made with GRIPR rubber on the pedal contact area and high-abrasion rubber in the heel and toe. 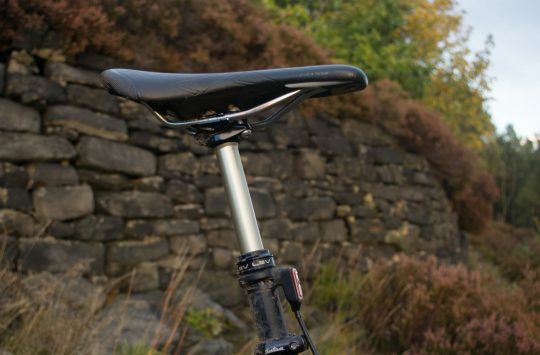 This combination offers grip and control when riding plus off-the-bike traction and comfort. British riders will be delighted to hear that they’ve been made as quick-drying as possible. 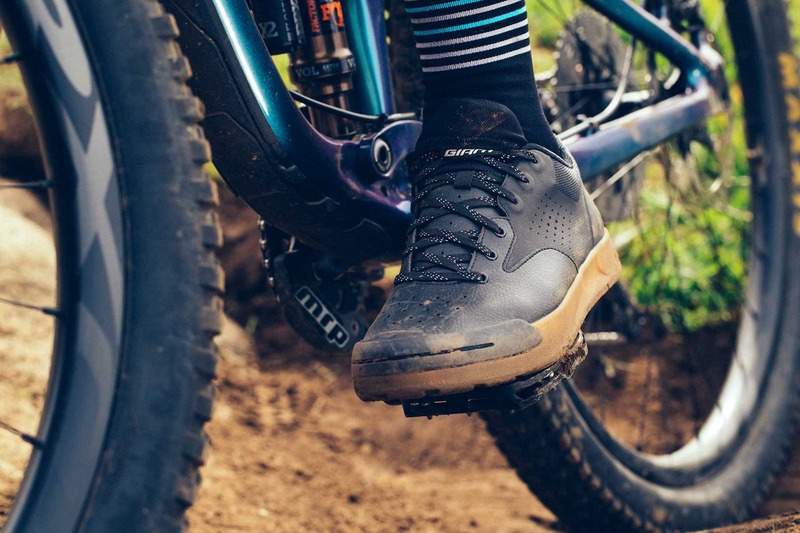 The Line trail shoe was introduced two years ago and quickly became a favorite among Giant’s pro enduro racers. For 2019, the Line gets updated with an all-new closure system and new color options. The QuickFit upper now has a single ratchet buckle plus two Velcro straps for fast, secure closure and adjustment. The two straps work opposite to each other to avoid ‘winding up’ the shoe construction with forces just from one side. 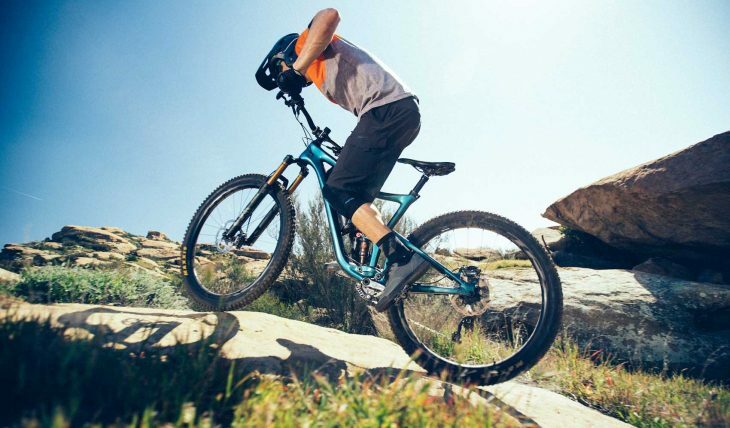 The Line also features an integrated ExoBeam sole to combine pedalling efficiency with comfort and stability when riding or walking aggressive terrain. The Line is also now available in two colour options: blue/black and grey/black. 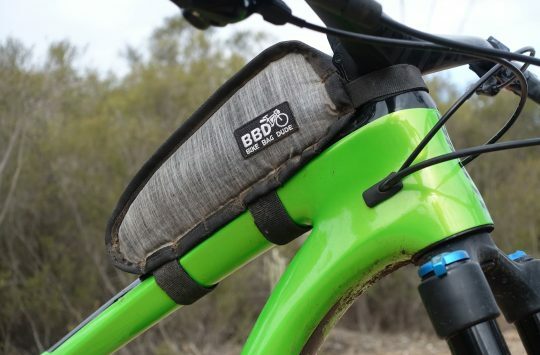 The new Charge Pro was developed and tested with XC and gravel racers from the Giant Factory Off-Road Team including veteran Carl Decker, a five-time winner of the Downieville All-Mountain Worlds in California. The Giant Transmit shares many features at a lower price. 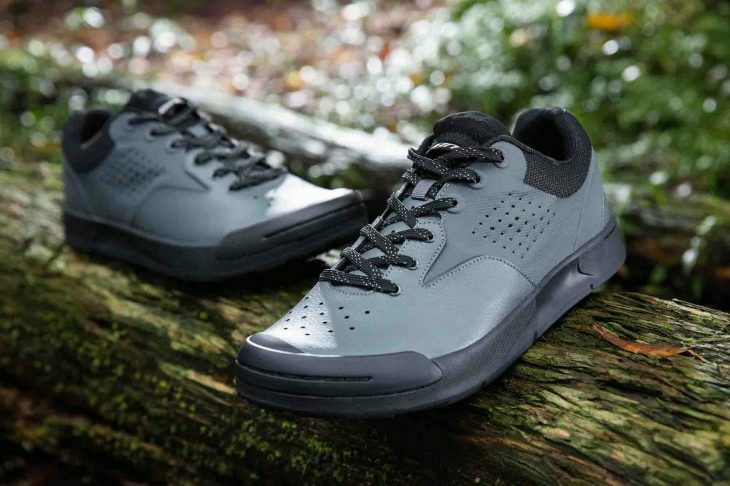 An evolution of the original Charge shoe, the new Charge Pro has an updated version of the Motion Efficiency System, called MES 2.0, that features the ExoBeam outsole and ExoWrap foot closure. The ExoBeam is a unique “beam” sole design that combines stiffness in the forefoot, where most of a rider’s power is applied. New this year is wider beam at the toe and a rubber covering for that beam for better traction off the bike and when unclipped. There’s another Exo, in the form of Exo wrap, which is a method of attaching the upper to the sole so that as the dual BOA straps are tightened, the upper is pulled up around the foot, rather than the foot being ratcheted down onto the carbon sole. This allows a more natural and comfortable feel while still keeping foot firmly attached. Again, the shoes have been designed to be as hydrophobic as possible and to dry quickly when they do get wet. The Charge Elite offers a similar fit and feel, but with a different ExoBeam material that uses a carbon/fiberglass blend. 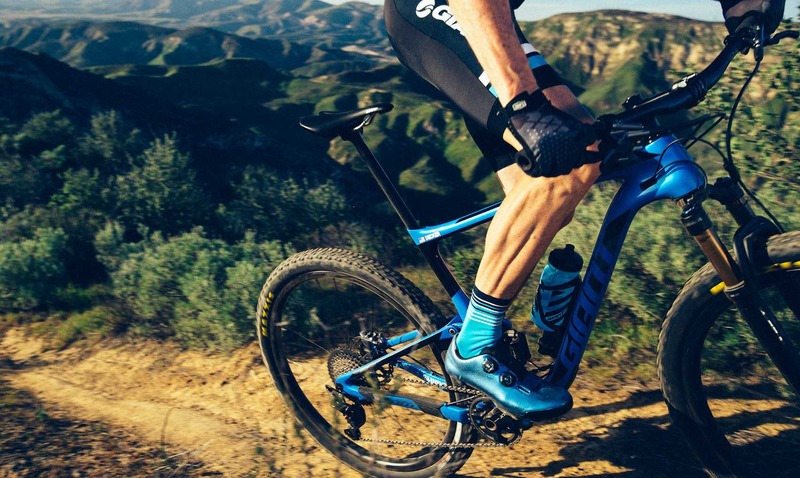 For more information and the complete lineup of Giant’s latest performance footwear, go to www.giant-bicycles.com/footwear. Do they make pedals to go with them? That’d be a big plus!